Lysis gene codes for the colicin-producing bacteria and then activates the expression of colicin. Colicin is a type of bacteriocin produced by and toxic to some strains of Escherichia coli. 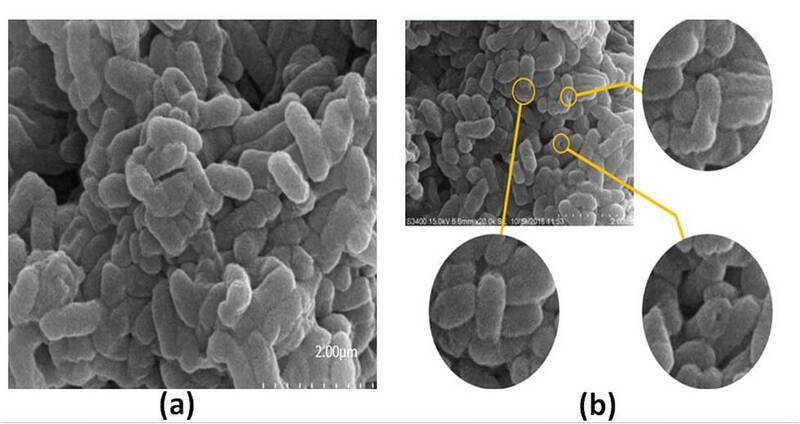 Colicins are released into the environment to reduce competition from other bacterial strains. Colicins bind to outer membrane receptors, using them to translocate to the cytoplasm or cytoplasmic membrane, where they exert their cytotoxic effect, including depolarisation of the cytoplasmic membrane, DNase activity, RNase activity, or inhibition of murein synthesis. colicins contain at least three domains: an N-terminal translocation domain responsible for movement across the outer membrane and periplasmic space; a central domain responsible for receptor recognition; and a C-terminal cytotoxic domain responsible for channel formation in the cytoplasmic membrane. One domain regulates the target and binds to the receptor on the sensitive cell. The second is involved with translocation, co-opting the machinery of the target cell. The third is the 'killing' domain and may produce a pore in the target cell membrane, or act as a nuclease to chop up the DNA or RNA of the target cell. 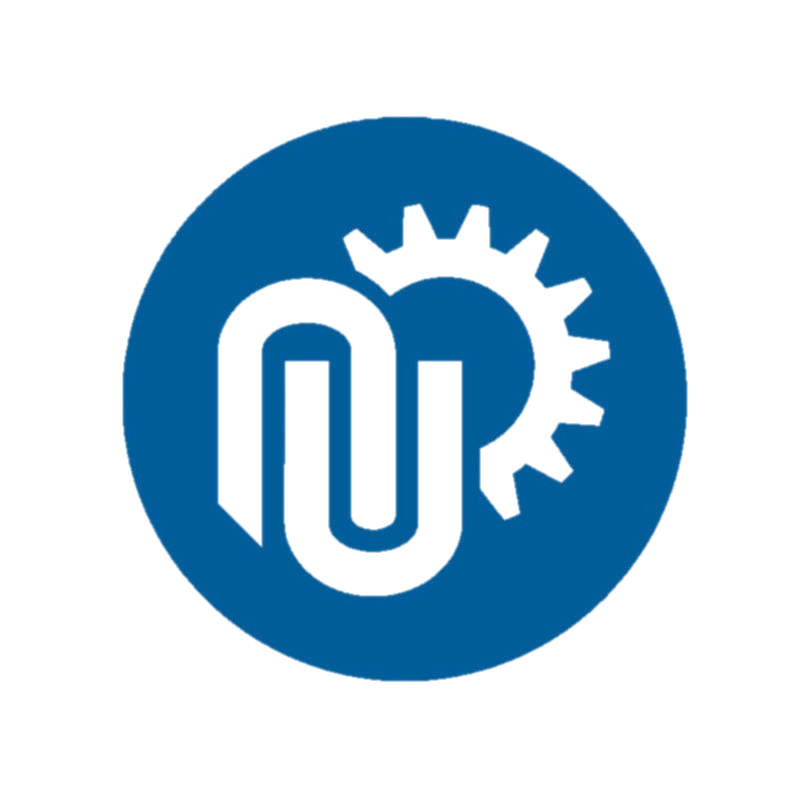 In our system, we design to utilize lysin to realize autolyse of engineered bacteria. It has fur box in promoter and is under regulate of ferrous iron in cytoplasm. After cells autolyse, accumulated DspB and cecropin AD can be released and then kill iron bacteria. The plasmid was transformed into E. coli BL21, cultured at 37 °C for 12 h, and the plasmid was extracted and verified by PCR. 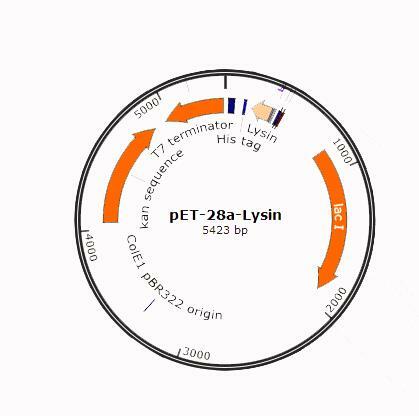 In order to test the autolysis effect of Lysin, we constructed the vector pET28a-Lysin. Figure 1. The vector pET-28a Vector is cut by NcoI and BamHI. Sequence of lysin is sourced from biobrick BBa_K117000. 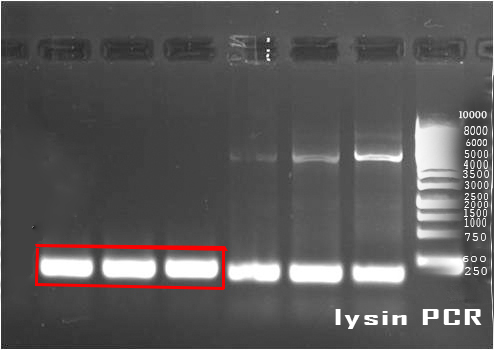 Gene sequence of lysin is amplified by PCR and is ligated with linearized vector by Ezmax. The plasmid was transformed to E. coli BL21 and cultured at 37 °C for 12h. positive monoclonal bacteria were cultured and verified by PCR. In order to verify whether the cell expression of Lysin can perforate on the plasma membrane, we test the growth curve of recombinant E.coli and check them under the scanning electron microscope. Recombinant bacteria is cultured by LB medium adding with 0.1% kanamycin till logarithmic phase and induced by IPTG. Then culture solution is transferred into 96-well microtiter plates and measured the light absorption of 600 nm. Figure 3. Cell growth curve with or without IPTG induction. 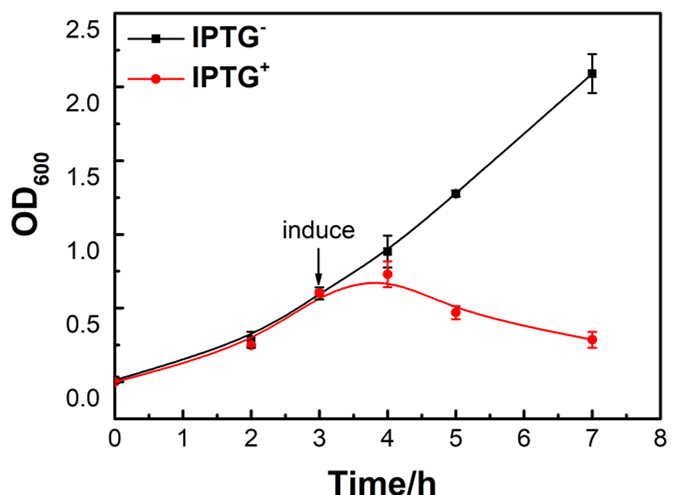 E. coli without IPTG induction grew normally while the density of E.coli decreased after addition of IPTG. Figure 4. The images are from scanning electron microscopes. (a)Before induction. (b)After induction. There are holes in the plasma membrane after induction, which can prove that lysin expresses successfully.